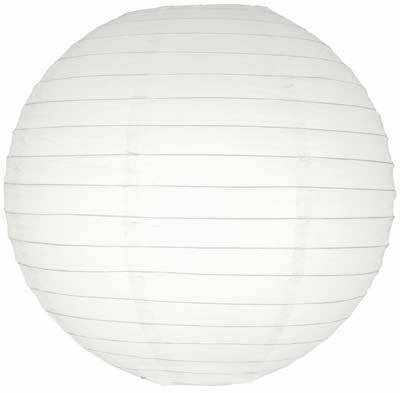 Round Paper Lantern: Wholesale White Chinese Paper Lamp 16"
The "basic white" asian lantern is the most popular item we stock. Great for decorating, for parties, weddings and more, these lanterns are super versatile. Add a colored light bulb and change the color of this lantern. Handmade in China. Measures 16" across. Light bulb not included.